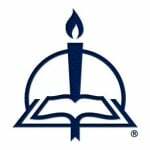 We are excited to announce that the Lutheran Bible Companion has been chosen as a finalist for the 2015 Christian Book Award in the category of Bible Reference! Some people hold that there is a discrepancy between the prediction of Jesus that He would be in the sepulchre three days and three nights (Mt 12:40) and the account of His death and resurrection, according to which He was put to death on a Friday afternoon and raised from the dead on the following Sunday morning. If we compute the time in which the body of our Lord lay in the grave, we have a few hours remaining of Friday, which ended at sunset on the day of crucifixion, then the night and the day which constituted Saturday or the Sabbath, and finally that part of Sunday which lay between sunset on Saturday and the resurrection on Sunday morning. In other words, Jesus was in the grave a part of a day, a whole 24-hour day, and another part of a day. It must be remembered that the Jews began their day at sunset. Does the resurrection account contradict the prophecy of Jesus that states that He would be in the grave three days and three nights? The question evidently turns upon the expression “three days and three nights.” If that expression cannot have any other meaning than three 24-hour days, then we are confronted with a real difficulty. But is this the case? We may confidently say that it is not. With the Jews “one day and one night” was simply an idiom for designating a day, and they would use this expression even when they referred to only a part of a day. This practice is evident from 1Sm 30:12, where we are told of an Amalekite who had not eaten or drunk anything for three days and three nights. The following verse indicates that the day that he was found was the third day of his being sick and left behind by his master, which is equivalent to “the day before yesterday.” It is for this reason that Jesus says to His disciples that He must suffer many things and “after three days rise again” (Mk 8:31), and that He will “on the third day be raised” (Mt 16:21). The terms “after three days” and “the third day” were used synonymously, part of a day being reckoned as a whole day. One would have to entirely ignore this idiomatic usage to maintain that a discrepancy exists between these passages. Another fact to be considered is that many people in New Testament times counted inclusively. That is, in the Roman calendar the second day before the first day of the following month was listed as “the third day before the Calends,” a term for the first day of a month. For example, January 30 was called the third day before the Calends of February—thus counting January 30, 31, and February 1—when in reality it is the second day before February 1. This inclusive terminology is present in the German expression “heute in acht Tagen” (“today in eight days”) which comes from the Roman inclusive numbering of days and means “a week from today.” Likewise Pentecost, also called the Feast of Weeks, was celebrated on the forty-ninth day after the Feast of Unleavened Bread, but it was known as Pentecost, the Greek word for fiftieth. From The Lutheran Bible Companion, volume 2, pages 223–24 © 2014 Concordia Publishing House. All rights reserved. 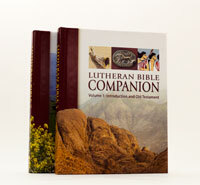 To order The Lutheran Bible Companion, please contact CPH at 800-325-3040 or visit www.cph.org.